Tokyo, The Ueno Royal Museum and The Hakone Open-Air Museum, Against All Odds: The Healing Powers of Art, June-August 1994; Barcelona, Centro Atlantico de Arte Moderno, A Rebours La Rebelion Informalista 1939-1968, April-June 1999, p. 251, no. 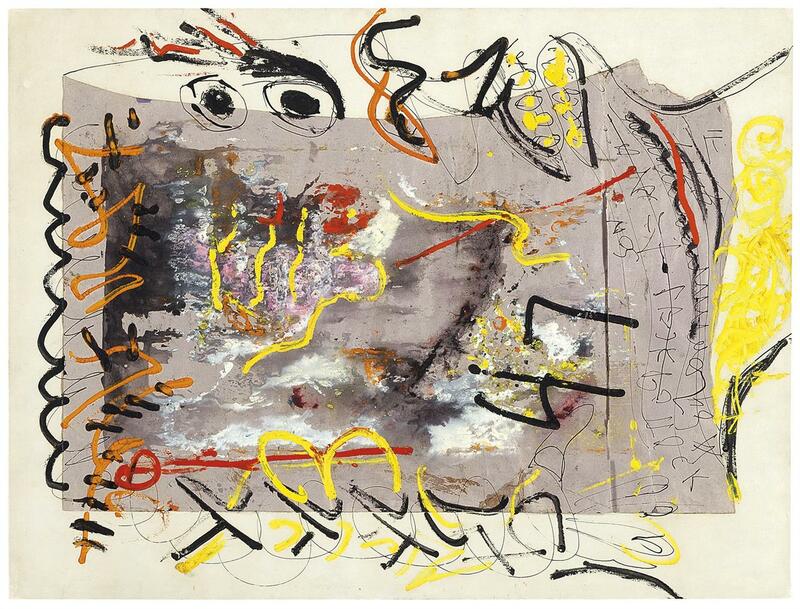 78 (illustrated); Berlin, Deutsche Guggenheim and Venice, Peggy Guggenheim Collection, No Limits, Just Edges: Jackson Pollock Paintings on Paper, January-September 2005, p. 63, no. 20 (illustrated).